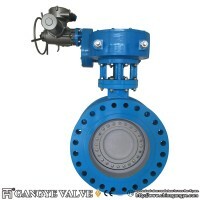 Double eccentrice structure design is adopted on the high performance butterfly valve. In the design,the spindle offsets the center of the seal face to form the first eccentric and the spindleoffsets from the center line of the pipeline to form the second eccentric.The combination of two eccentric will generate cam effect as the disc screw in or out,making it possible to separate the disc from seat by very small torque There is almost no friction between the disc and seat during switches,and that will lower the operation torque and extend service life.With these advantages,high performance butterfly valve can be used for various kinds of working conditions and medium. Applicable Medium:corrosive chemical media,water,gas acid,alkali,steam,pharmaceutical,etc. With the fire protection design,the valve can meet the special requirements of this working condition.Its superior performance can effectively avoid potential fire safety hazards in petroleum and petrochemical industries. 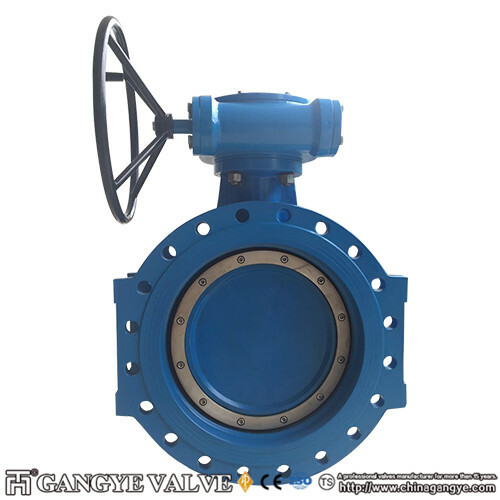 High Temperature Fire Protection Type High Performance Butterfly Valve can work normally at high temperature up to +1500 ℉(+815℃). SO this produt is widely used in oil/gas processing,power industry,steam/hot gas related industry,chemical industry,etc. 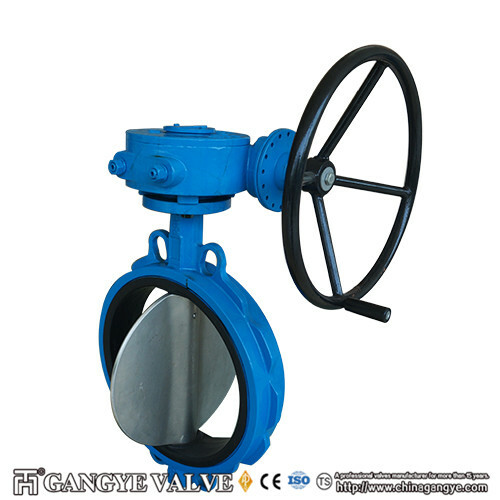 Natural gas shall be stored and transported in liquid in LNG industry,and our products can meet cryogenic requirements by using Low Temperature Fire Protection Type High Performance Butterfly Valve. 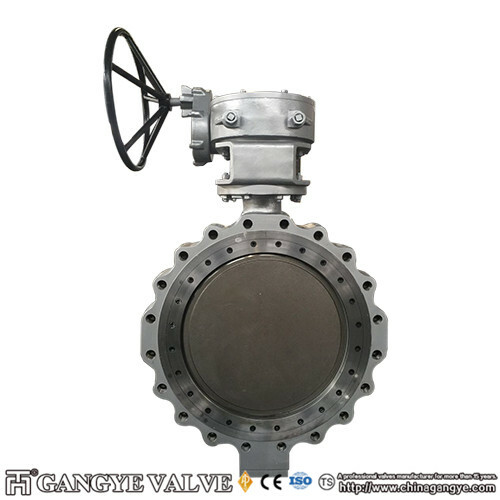 The valve used in such severe condition need full preparation,choosing the right structure and the materials,And all these should be conform to the NACE standard. 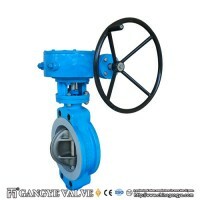 The valve is suitable for high temperature and high pressure water,condensate water,condensate water,cooling water,etc.To theese medium,we recommend the RPTFE seat. 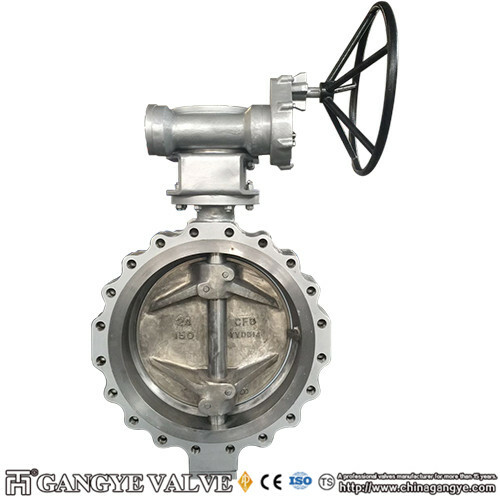 The valve materials need to be chosen very carefully to meet the strict standard of abrasive condition.For example,when the valve is in sodium hydroxide or Potassium hydroxide,we would recommend to use stainless steel. High performance butterfly valve from gangye can control liquid or gaseous chlorine medium reliably in the pipelines,and the unique seat design ensures no leakage.The valve is suitable for conveying chlorine media containing water by using special materials.With special cleaning.the valve can be protected from reation with chlorine of other substances. All the parts are processed specially(cleaned,assembled,tested and packaged)to ensure the burrs,sharp edges,dirt,grease and ogher contaminants have been removed,avoid the internal risk caused by the reaction between oxygen and grease or other impurities. The valve is reliable and safe,conforming to the NACE Mr0103 STANDARD.The metal materials must have the resistance to sulfide stress cracking to work this condition,such as in petroleum and natural gas industry. 2.The users can replace the seat just by taking down the segment on site ,without dismantling the valve plate and shaft,which can reduce the maintenance cost and extend the service life. 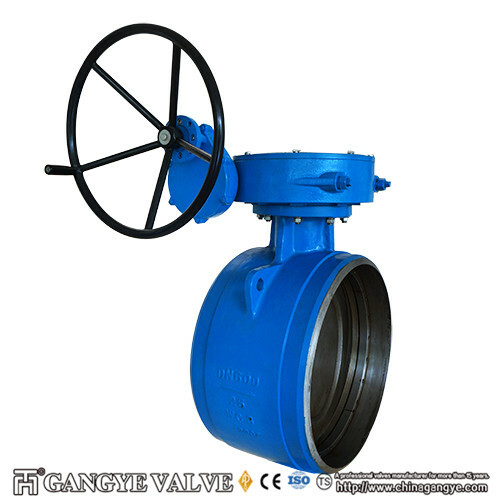 The seat is slightly deformed as the valve closed.And theis deformation inspired seat to maintain a lasting sealing with the deges of disc. The disc is pushed to the seat as the pressure applied to the non-pressure side of the ring.And it will be more and more tightly closed as the disc is close to the spherical seat.The contact between the lip edge and bottom groove of pressing ring can limit excessive movement of the seat . The pressure is transferred to the underneath of lip edge when the pressure comes to the pressing ring side,and this can further increase the sealing force between disc and seat. Blowout proof structure:There is a split collar under the end of shaft to maintain the stem positioning and prevent the shaft blown out due to the breakage of connection pin. Optimized disc design:The spherical design of the disc can ensure the disc intensity,provide maximum medium flow,increase the flow capacity and Cv value. Convenient packing adjustment design:It can complete the adjustment and packing teplacement without removing the drive device.Packing gland is made of two parts to avoid shaft jamming caused by offset. Terminal services:Both the ends of lug type high performance butterfly valve can be used to the pipeline teminals under the working temperature&pressure,and achieve bi-directional sealing under the raed pressure.